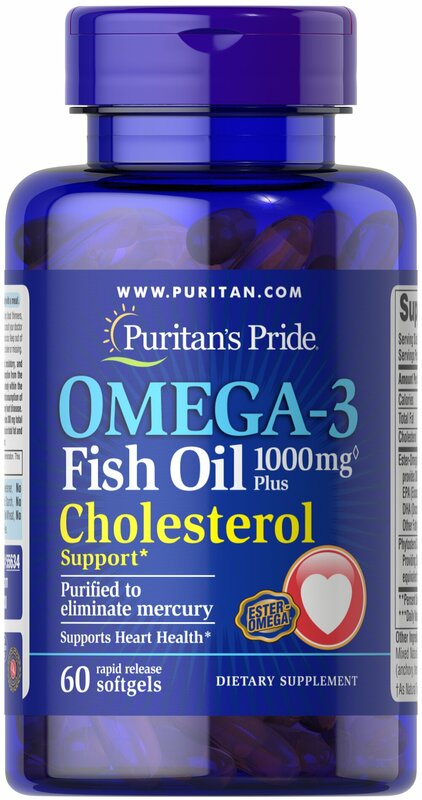 EPA and DHA from Fish Oil have the ability to promote heart, circulatory, and metabolic health.† Phytosterols help to reduce cholesterol absorption from the digestive tract and help maintain cholesterol levels that are already within the normal range.† Supportive but not conclusive research shows that consumption of EPA and DHA omega-3 fatty acids may reduce the risk of coronary heart disease. 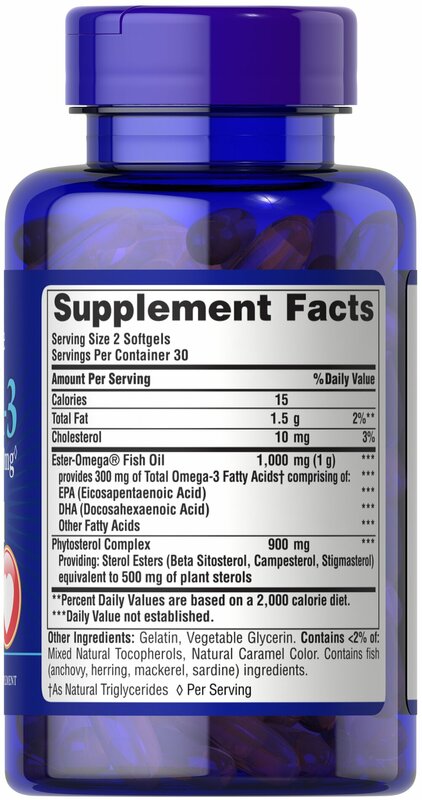 One serving of Omega-3 Fish Oil Plus Cholesterol Support provides 300 mg total EPA, DHA and other omega-3 fatty acids. See nutrition information for total fat and cholesterol content. 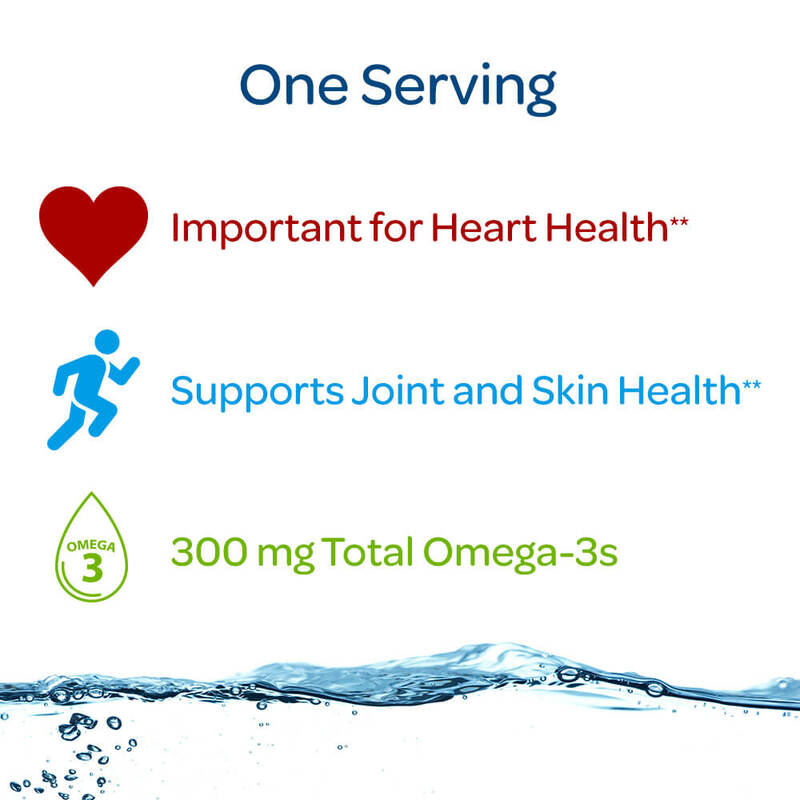 Our Fish Oil is purified to eliminate mercury, PCBs and dioxins. †Foods and dietary supplements containing at least 0.5 g per serving of phytosterols (plant sterols, plant stanols, or plant sterols and stanols, expressed as unesterified form equivalent) eaten with meals or snacks for a daily total intake of 2 g as part of a diet low in saturated fat and cholesterol may reduce the risk of coronary heart disease through the intermediate link of blood total and LDL cholesterol. 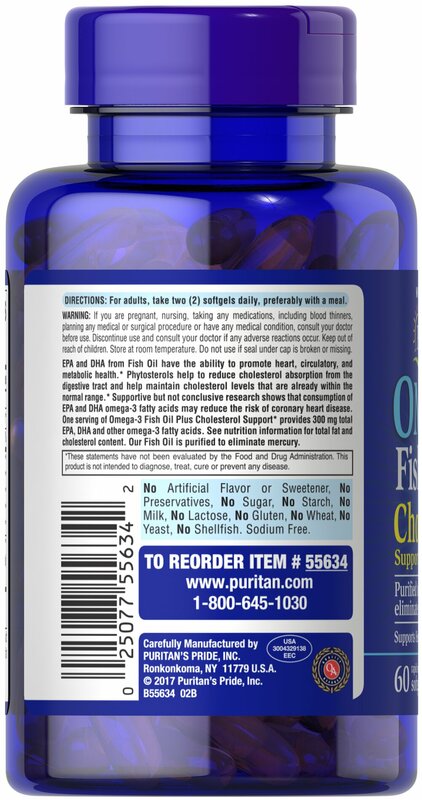 A serving of Omega-3 Fish Oil Plus Cholesterol Support† provides 500mg of phytosterols [plant sterols, plant stanols, or plant sterols and stanols, expressed as unesterified form equivalent].